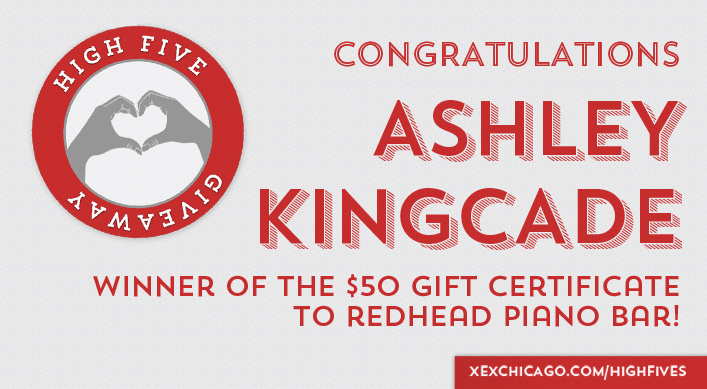 Congratulations Ashley Kingcade, Winner of our Redhead Piano Bar High Five! Congratulations to Ashley Kingcade on winning the High Five Giveaway of a $50 gift certificate to Redhead Piano Bar! We are going to take a short break from our High Five Giveaways to celebrate the new year. We will post our next giveaway on Monday, January 5.